​We made it to Chicago! Wonderful to see Dennis’ sister and family and have a wonderful lunch thanks to his son Willem. There is weather here. ​How is it still this cold in April? From my mom's back yard, looking out at an oat field long since harvested and a budding apple tree. We have spent the week working on events with the help of my publicist, Siovonne Smith, and she and Dennis have booked several impressive ones! 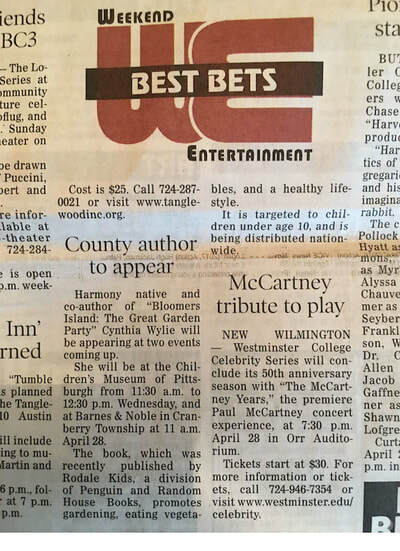 #10001booktour #thegreatgardenparty #stillnotgardeningweather #stillcold #ohspringwhereartthou? My very first event woo hoo, at the Children's Museum of Pittsburgh! 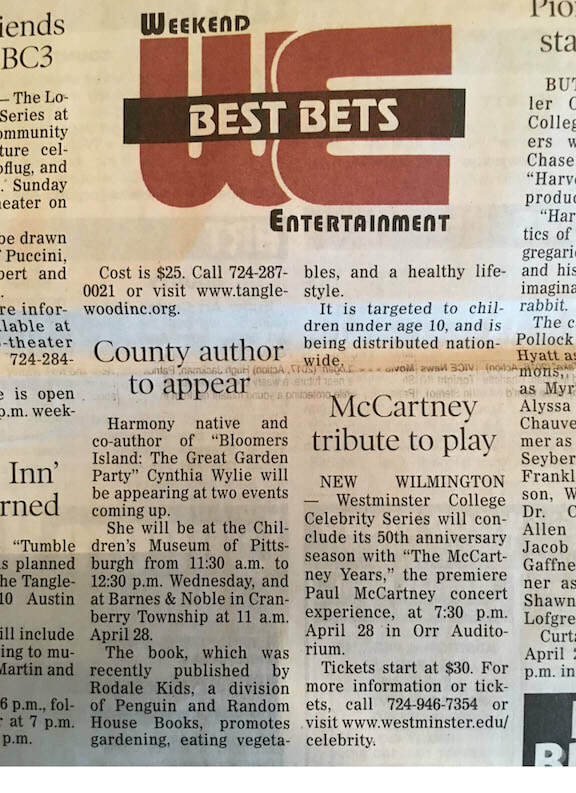 "Join us in the Nursery for a special story time where you will meet children's book author, Cynthia Wylie. She'll read her newest book Bloomers Island: The Great Garden Party, and you can plant your own yummy veggie to take home! Story time will be 11:30 am - 11:45 am. Book signing and activities will follow story time." Read complete details by clicking the link above. I'd love to see you there! Also, they'll have books there to sell if you haven't bought one yet. See you soon bloomers! 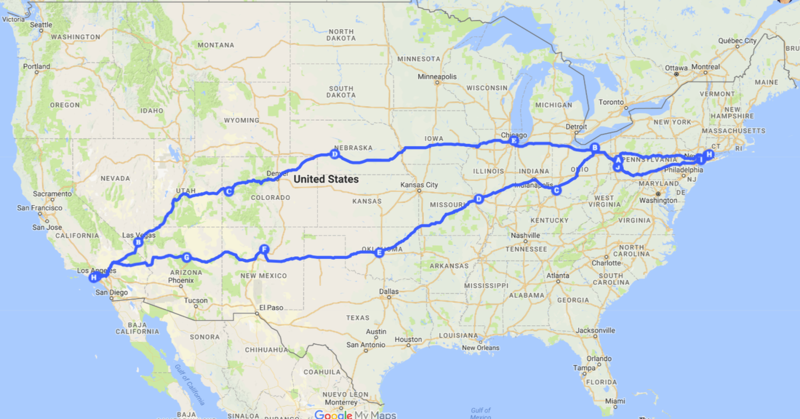 ​I've made it across the country! It is my first time and I'm so glad I did it. Our country is immense and immensely beautiful. I am doing my first school visit tomorrow at Noroton Presbyterian Child Care in Darien, CT. Pictures to come. 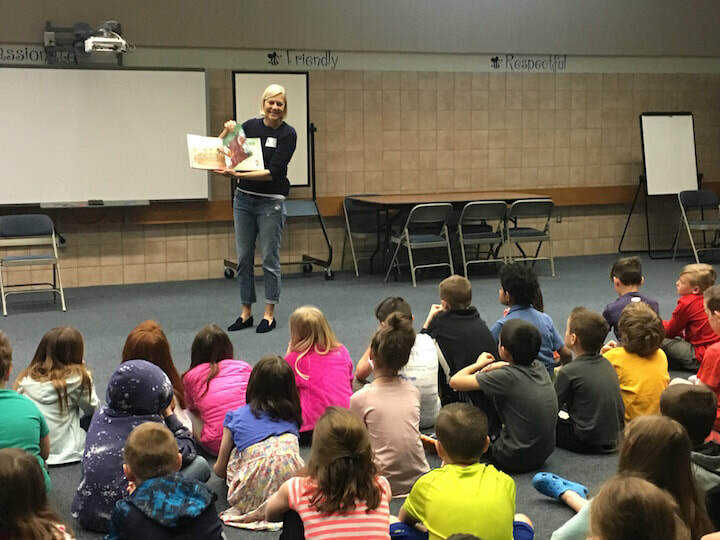 Doing a school visit at the Connoquenessing Valley Elementary School in Zelienople, PA, was special to me because that's where I went to elementary school. And I think it's probably the first time I've been back there since I left the sixth grade. I worked with seven second grade classes! This was my first second grade that I've worked with and it was wonderful because I could get ore deeply involved in the Scientific Method. I started by reading the book. Then just like in the book, I did a seed scavenger hunt and the kids loved running around liking for seeds. They got some good exercise too. I then did the tomato avocado seed experiment. (Do fruits/vegetables of the same size have the same size seed?) With the scientific method experiments, I let the kids suggest questions first. And they came up with some fantastic experiment ideas! A great time was had by all and I'm going to go back again and work with the kindergarten and first-grade classes. 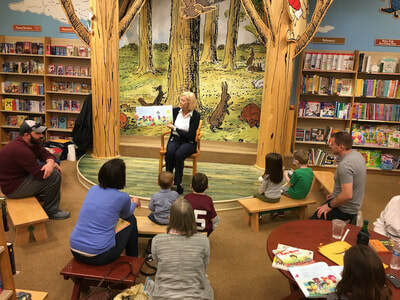 It always amazes me how almost all of the children at my book readings sit still and listen to the entire book. I guess that means our new generation has incredibly good listening skills or my book is highly engaging. I hope it's a little bit of both. 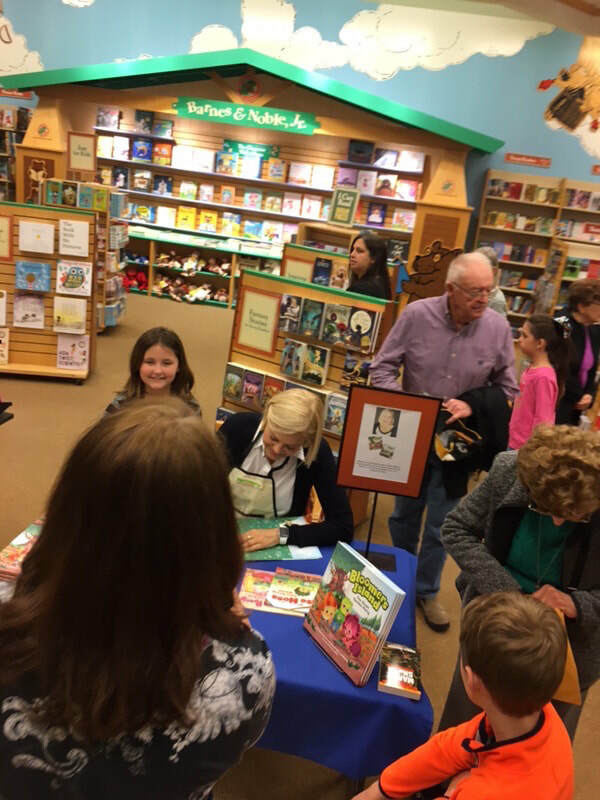 I loved the Barnes & Noble events because I got to meet children and sign their books. And I loved that children from my school visit dragged their parents there. 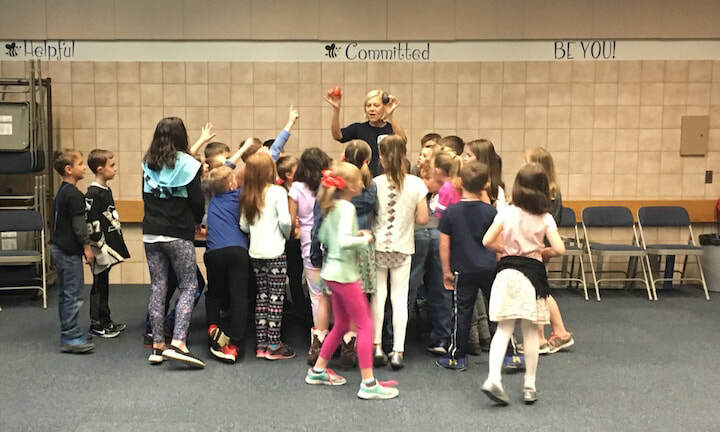 Sometimes school visits happen serendipitously. Like when you have dinner with a high school friend on Sunday night and realize she teaches at a wonderful school dedicated to creating an environment for students in kindergarten through 8th grade with language-based learning differences, like dyslexia, and ADHD. And you are invited (in the midst of all their testing no less), to come do a reading and seed scavenger hunt on Wednesday! 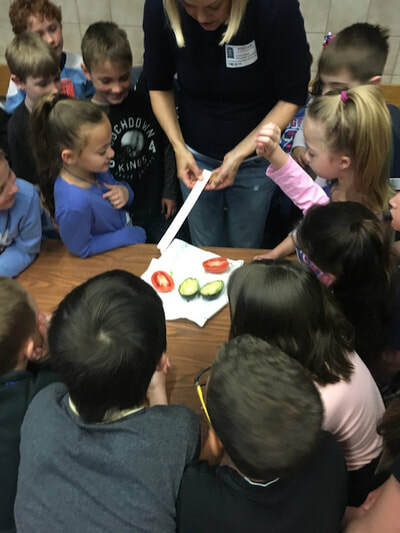 I was beyond excited to visit the The Southport School in Southport, Connecticut. The children were curious and engaged and enthusiastic, and I was once again reminded that there is no one way or right way to learn. The children spend an average of three years here and then they move on to another private or public school. I loved this pic because the room itself is beautiful and the way the light came in, it framed my head and the book. There has been a lot of research how gardening can help children with ADHD and it ranges from the beneficial microbes in soil to getting them outside and active. I'm happy to spread the love! 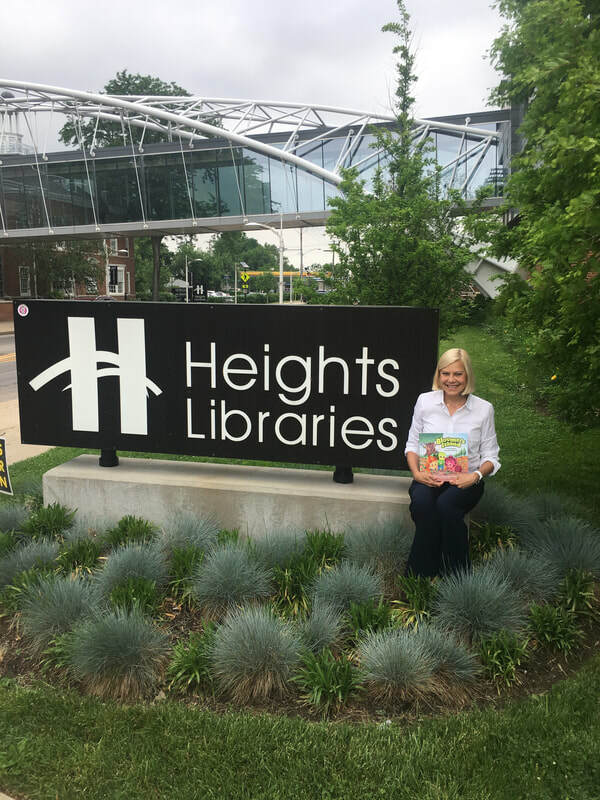 This is one of the largest public libraries in Cleveland for the University Heights and Cleveland Heights area. I did a story telling event (rather last minute) and I found the staff to be exceptionally kind, helpful, and accommodating. 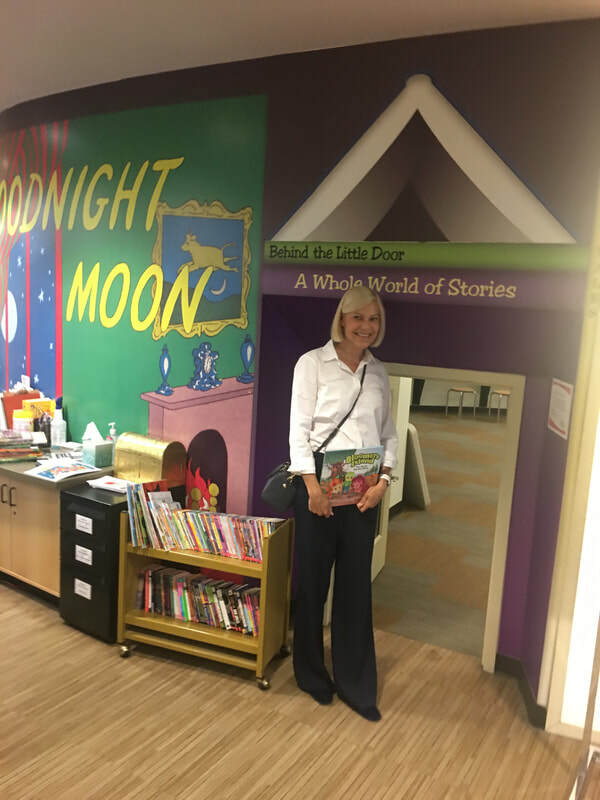 The children's story telling space felt like a secret garden complete with a hidden room, child-sized door and curtain to a window that looked out into the library.. I want to thank the staff and the parents. The children were engaged, intellectually curious, and respectful! I loved this library. Thank you and I hope to come back soon!!! Cleveland Botanical Garden, The Children's Garden at Hershey Garden was phenomenal, and you don't have to be a kid to explore, learn and enjoy. Their story telling "room" was actually under a wonderful tree house that anyone can climb. In fact, they used children consultants prior to building it and with one child's input, ramps were installed for her friend to use. After reading the book, we all wound our way over to picnic benches and planted seeds. I let the children chose from eight different veggies and fruits. (The pumpkin seeds were the favorites!) There were ponds with skipping stones, sensory gardens, edible gardens, and so much more. The Children's Garden also features, The Hoop House, where kids can discover how easy it is to grow your own garden at home, no matter where you live which fits right in with the Bloomers Island mission. ​Confirmed event with the Denver Botanic Gardens for July 22nd, Family Garden Party program in which they would schedule 2 or 3 times for me to read the Bloomer’s Island books and have 3-4 activities set up for families to engage in while exploring the Gardens. Will let you know as soon as we pin down a time. So excited!